Flowerama delivers fresh flowers, roses, planters, cookies, and other flower arrangements to Plain City and surrounding cities. 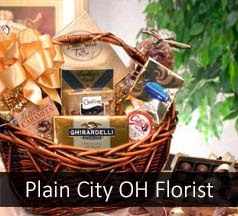 We are a local florist, owned and operated by the Ozment family, with four flower shop locations in central Ohio. We offer same-day flower delivery to Plain City as well as same day express flower delivery to Plain city. Flowerama even named one of its arrangements after the town called "Summer in Plain City". Use our mobile site, order flowers online, or visit one of our flower shops near Plain City. Same day delivery to this area is $14.95.